SPREAD THIS: GOP Candidate Delivers Bombshell About Illegal Immigration... It's An "Invasion"
Immigration has been a hot topic during this election cycle, and one Republican presidential hopeful recently issued a bombshell statement about his views on the issue. Jindal’s statements to Stephen K. Bannon, executive chairman and host of Breitbart News Daily, came just after polls showed the Louisiana governor ahead of former Florida Gov. Jeb Bush in Iowa, an early hotbed state. In the interview, Bannon asked Jindal why assimilation was so critically important for where we stand as a country. Jindal noted the chaos currently taking placing in Europe due to the massive influx of immigrants, and he warned that the United States must make sure that the same doesn’t happen here. He explained that “the Left” thinks it is “culturally arrogant, or xenophobic” to insist that immigrants assimilate to our way of life. “And the reality is, they shouldn’t come and use our freedoms to undermine freedoms for other people,” he continued. 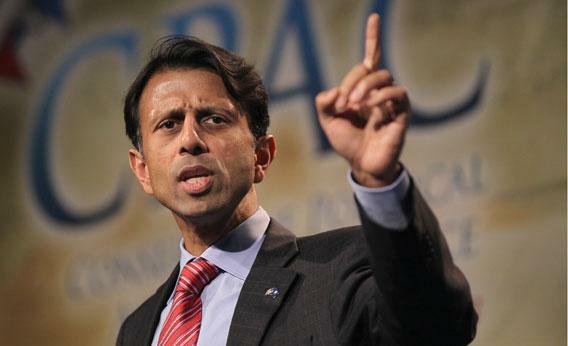 Jindal then used the situation in Europe to further his point.